Do you have multiple image galleries in WordPress? Do you want to create a photo album? 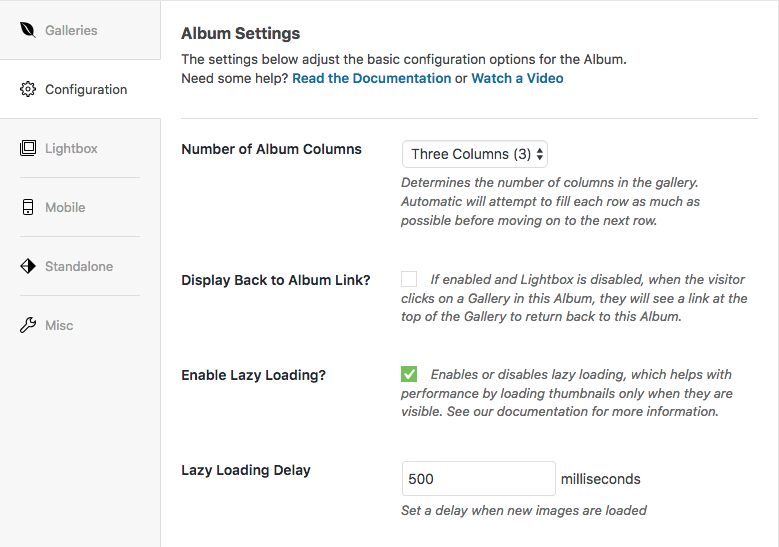 By default WordPress does not have an album functionality for image galleries, but you can definitely add albums in WordPress with a gallery plugin. In this article we will share how to create a photo album in WordPress using Envira Gallery. Envira Gallery WordPress plugin has an Album addon that uses your image galleries to create photo albums in WordPress. To add a photo album, first thing you need to do is install and activate Envira Gallery plugin. You will need to verify your license key to use addons. Upon activating the plugin, you need to go to Envira Gallery » Addons to activate the Addons screen. Inside of the Addons screen, install and activate the Albums Addon. You will also need to enable the Standalone feature to use the Albums Addon. To activate Standalone, you need to go to Envira Gallery » Settings. There, you will see the Standalone tab, and the option to enable Standalone. After activating the addon and Standalone, the next thing you need to do is create few image galleries. Read more about how to create an image gallery in WordPress. Once you created the galleries, you need to go to Envira Gallery » Albums. Next, you need to click on the Add New button to add the photo album in WordPress. 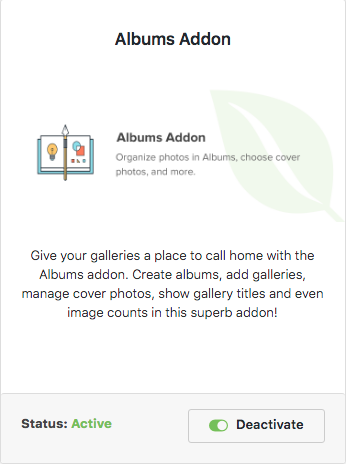 A new window will open where you will be asked to add a title and your image galleries to the photo album. The process is similar to creating an image gallery in WordPress. After adding image galleries, we recommend that you add meta data for each gallery. You can do this by clicking on the information (i) icon on the galleries. After saving the meta data, you can check the config settings. These settings includes number of columns, album link option, description, title, caption, and more. If you want to display the gallery images in lightbox, then click on the Lightbox tab, and enable that option. Once you are satisfied with all settings, click on the Publish button. Your album is now ready. You can go back to Envira Gallery » Albums, and copy the shortcode of your album. Now, either you can go to the Posts » Add New to create a new post or edit any previous post to display the photo album. You will need to paste the shortcode in the visual editor, and click on the Publish button. After that visit your website to see how the photo album looks in WordPress. We hope this article helped you learn how to create a photo album in WordPress. You may also want to check out our guide on how to easily edit images in WordPress. Is it possible to show a list of all Albums in a page, so that when a visitor clicks a link from the nav that says “Photo Albums”, he sees a grid of all the albums and clicking on each of these albums would take them to the page that contains the Album Shortcode ?